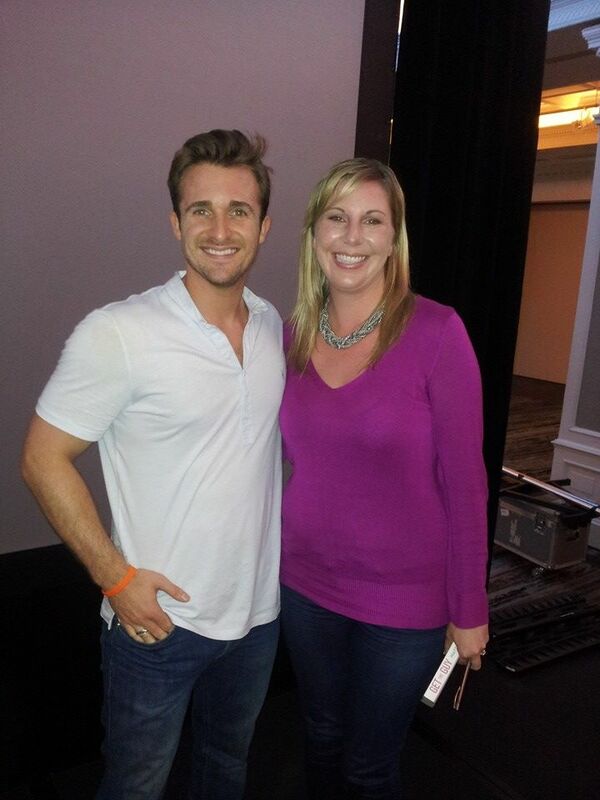 Hold up, when I say be a Hussey, I don’t mean taking a trip to Penny’s or Forever 21 for the largest pair of hoop earings and some pleather…..I’m referring to Matthew Hussey, the dating genius behind the book “Get the Guy” (www.gettheguy.co.uk). I was lucky enough to make it to his day seminar in Dublin on 15 June and left feeling very inspired to continue my work dating coaching. I wanted to share a few idioms and sage words of advice from his seminar that I found very inspiring. Now I have to admit, my first exposure to the dating self help world was in 1999 when my college roommate introduced me to the book “The Rules”. At the time, that book saved my dating life because it detailed very strict rules for “capturing the heart of Mr. Right”. I needed structure at the time because I knew so little and was lacking boundaries in relationships. As I have matured, I value the Rules for their general advice to keep busy, have a life and don’t wait around for a man, but I didn’t need to follow them blindly to reap the benefits. What Hussey recommends is that you look at any dating “rule” someone tells you, and then focus on the principle behind it. For example, the Rule: “Don’t accept a Saturday night date after Wed”. What is the principle behind it? Principle: fill your life with interesting activities and don’t drop everything for a date. AKA: Have a life. You don’t need to follow strict rules related to the days of the week, but you need to genuinely create an exciting life. Your life will reveal itself, if you have a full life or not, so work on creating a full life. Another famous Rule is: “Don’t talk to a man first or ask a man out”. What is the principle behind the rule? Principle- Give men an opportunity to pursue you and to feel like they have earned it. Hussey gives a lot of strategies in his book about how to chat up a man but not necessarily ask him out. I agree with Hussey in that I think women need to make it easy for a man to approach them, with their body language, proximity, and by starting conversation. Basically, I think women can give men permission to talk to them (by giving them a compliment, commenting on something in the room, or asking them a favour) but we also have to allow them to court us and pursue us. If I went by the “Rules” I would have to wait for a man to approach me, but I prefer to be the “Chooser” not the “Chosen”. Hussey also talked about our “limiting beliefs” and how this gets in the way to finding what we want. Some examples of “limiting beliefs” are “There are no good men here (in this pub! This town! Ireland! 21st Century! And if there are they are all taken!Thanks Debbie Downer). There are good men are everywhere, but it also depends on how particular you are. If you are really particular about your type, which is ok as long as they are good dealbreakers and not flippant qualities, you can find that guy….you are just going to have to meet more men! A lot more men. Say I put you on one of those reality shows like the Bachelor (I love you Chris Harrison! ), and I gave you 100 men to choose from. How many would you actually be attracted to? 20? Out of those 20 men, how many would be relationship material? 5? Out of those 5, how many could be great loves of your life with a lasting connection? 2? 1? “I don’t have any time!” If you don’t have time, make more of what you already do, you don’t need to add more activities. Look at your time- is there too much routine in your life? Are you going to the same couple activities a week with the same people? You might need to add a bit of risk and adventure to those precious hours. “But I don’t have any time!”. How many hours a week would you spend with the right guy if you found him? 1 hour, 10 hours. You’d be surprise where we find time when someone special comes along. For the things that are important, we always find a way. So create time now, for that potentially important man in your life. Another way to make the most of your time is to be the “flame”. Picture a moth, swarming around a light bumping into things randomly. The Moth goes out and bumps into guys, they are chatty and spontaneous but not as purposeful. There is no strategy. The Flame is someone who creates a lifestyle that brings people into your world. One way to do this is to be “social hub” or befriend people that are the “hub”. The “hub” is someone who links people together and is the one who throws the party. Do you know someone like this? They are always bringing new people into their life because they gain energy from meeting new people and connecting them together. Overall one of Hussey’s main messages was, are you someone who is “waiting or creating”. Are you waiting for Mr. Right to come along or are you creating new opportunities to meet people in your life. It’s time to redesign your life. Chat up someone new when you are out. Try something new. Break the routine. If you follow some of these principles, it’s not just about meeting someone but living your life with passion and replacing “limiting beliefs” with “expanding beliefs”.